This plaid is your fairly traditional blue plaid. It has diagonal plaid on the pockets and does up with buttons. In Yellow Fever (4x06), Sam wears it the morning he finds Dean rocking out to eye-of-the-tiger, and then keeps it on until they have to change back into suits to interview Luther’s brother. 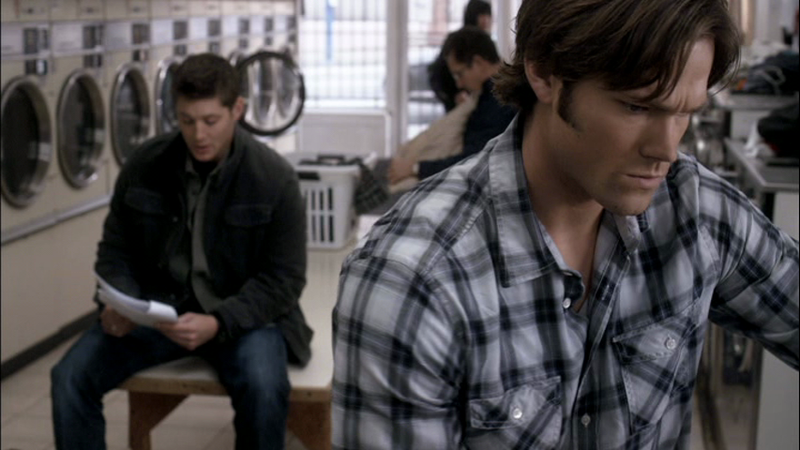 In The Monster At The End Of This Book (4x18), Sam wears it to go to Chuck’s house and the Laundromat.